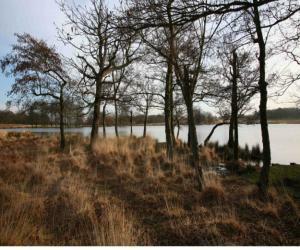 A selected 3.2km (2 miles) walking route, in the heart of historic Richmond Park which was enclosed as a deer park by Charles 1 in 1637. The route splits into three shorter circuits: Lawn Field Plantation 1.3 km (0.8 miles); Lawn Field & Pen Ponds 2.0 km (1.2 miles); Spankers Hill Wood 1.6 km (1mile). The nearest entrance is the Robin Hood Gate.